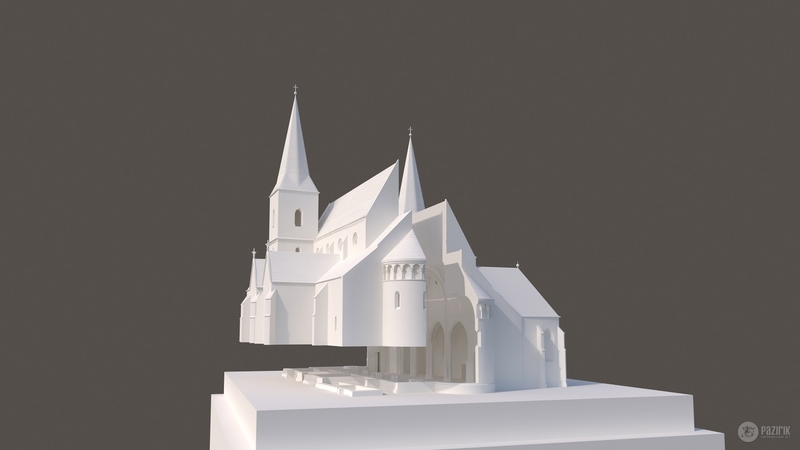 Eger 1551 cathedral reconstruction maquette - Pazirik Informatikai Kft. | Pazirik Informatikai Kft. 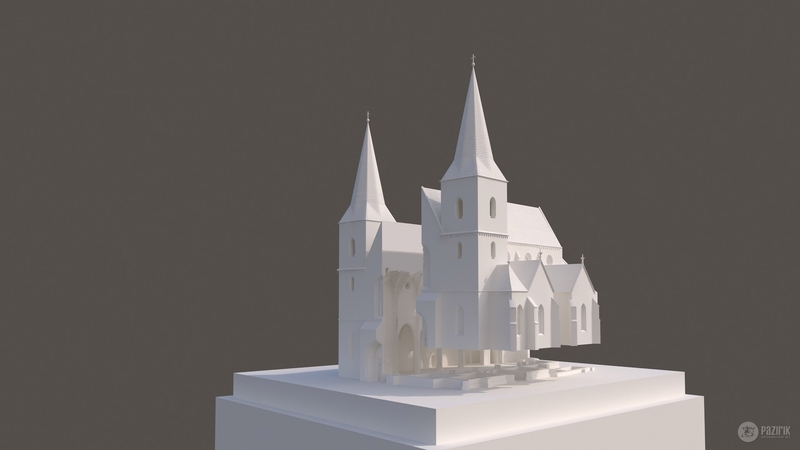 We have created an interactive illuminated visualization maquette showing the state of the Cathedral of Eger in 1551 for the development of Eger Castle. The maquette can be taken apart into 2 halves, LED light panels are illuminating it from the bottom. 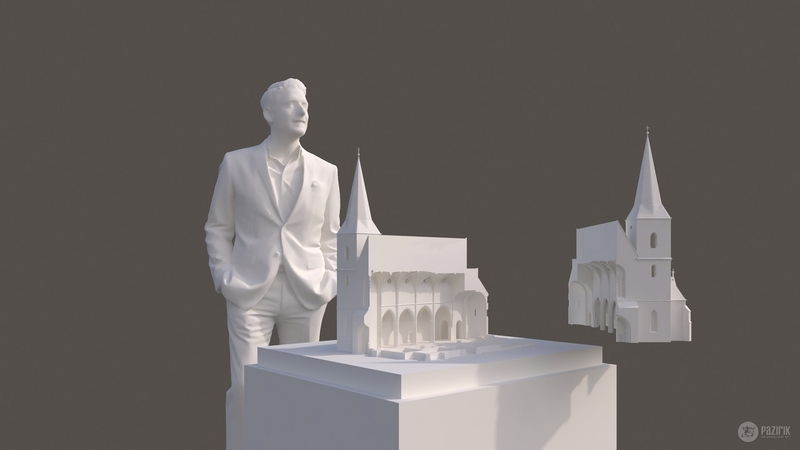 The reconstruction research of the building of the cathedral was done by Gergely Buzás, the reconstruction research of the vaults was done by Balázs Szőke.